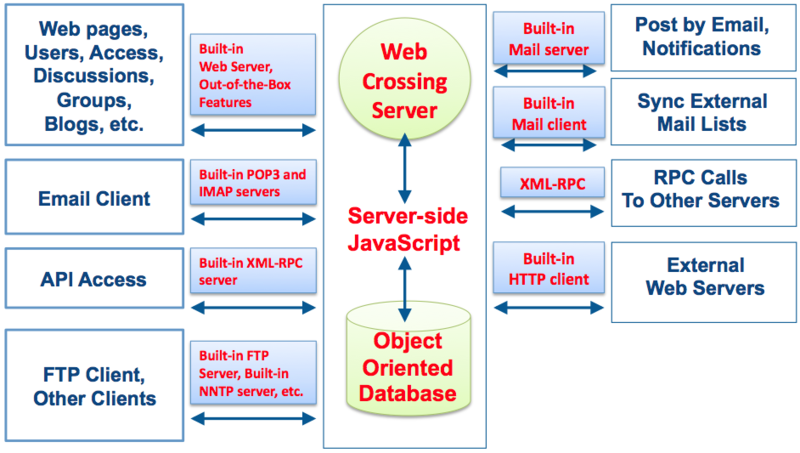 WebCrossing Core is a high-performance collaboration system, permitting an unlimited number of simultaneous users restricted only by platform capabilities and bandwidth. The high-performance server application is implemented in the C programming language, eliminating the overhead of interpreted languages such as PHP. Additional performance is achieved by extensive use of sophisticated data caching techniques to eliminate slow disk accesses whenever possible. A single WebCrossing Core instance is capable of serving hundreds of thousands of page views per day on high-performance hardware.